This is the second title Sony has okayed for full inter-platform action, after Fortnite got cross-play last year. In both cases, the cross-play was already a feature, but it was a messy one where PC and PS4 players were in one pool, while PC, Xbox One, and Switch players were in another. Now everyone’s swimming together, and you can get into random matchmaking with everyone regardless of where they’re playing. 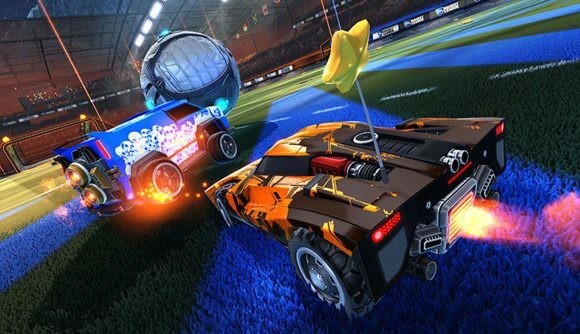 Psyonix runs down the details in the official announcement. General cross-play is enabled by default, but you can opt in or out with a ‘cross-platform play’ checkbox in the options menu. That enables platform-agnostic matchmaking in all online modes. Until cross-platform parties launch, you can only do cross-play with friends through private matches. Even if it took a distressingly long time to get here, it’s good to see full cross-play happening again – especially for a game that isn’t quite so industry-shakingly massive as Fortnite. Rocket League is certainly popular, but this still helps open hope for more games to get the all-clear and break down platform barriers. Sony still refers its efforts as the ‘PlayStation Cross-Play Beta program’ – emphasis on the ‘beta.’ Maybe someday it’ll be referred to as a finalised thing, and we can start living in a beautiful future where we all play together.